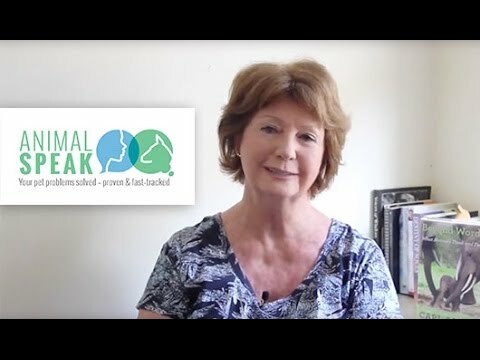 Animal communication with Faye Fletcher – an animal behaviour expert who can help you with pet problems through animal communication. Animals Talk! Do you ever wonder what your animals are thinking or feeling? Do you ever want to know if they are happy, if they have any problems or why they act the way they do? Can an animal talk? Does animal communication work? I can help answer these questions and more through animal communication. This is a process that enables a direct two way communication or talk with animals through telepathy. This involves the exchange of feelings, pictures, emotions, thoughts and impressions between the animal communicator and the animal. It’s animal talk between a human and a pet. Animal Telepathy is an innate ability of all living beings, however as we grow older we forget this ability as humans primarily communicate verbally while animals can still communicate silently by sending and receiving messages. It taps into this innate ability and can be used to tap into the natural world, just like using a different language. It can function at a distance just like tuning into a radio station at a distance from the transmitter. As an animal communicator I am specialised in this and have not lost this ability. Booking a phone/skype session with Faye is easy. Send Faye a photo of your pet – showing their eyes. Sessions are usually no more than an hour. By Skype or phone – or you can arrange Faye to visit. 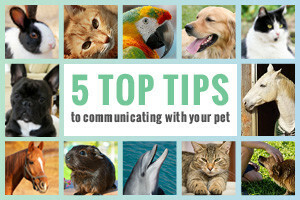 Faye has a conversation with your pet prior to the session, asking for a couple of things about your pet only you would know. Faye shares this information at the very beginning of your session. (Evidence the communication connection is valid). If you are satisfied with the validation process, then Faye will talk through what your pet is feeling/thinking regarding the specific problem you have in mind. If there’s no problem, then information sharing to improve life quality and understanding. For your reference, Faye will email you a report of what was discussed during your session. Faye will contact you to follow up on how the information from the session has changed both your lives for the better. I have a great passion and love for animal communication and animal talk. My animal communication abilities help people understand their pets or animals on a deeper level. This greatly helps people understand their animal behaviour. It also allows people to take corrective action if there are any issues. I have helped many people with their relationship with their pets or animals. Improving quality of life for both the human and animal. To find out how I have helped people in the past you can read all my animal communication stories. Talk to your pet – and actually be understood?